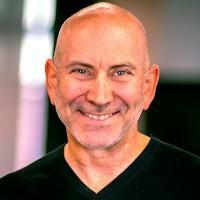 David Siegel pioneered the field of web design and wrote 4 books about the Web, one of which remains Amazon.com's longest-running #1 bestseller. He has given over 120 professional speeches, consulted to Fortune 500 and government, built one of the first web design and strategy firms (sold to KPMG), and has been an angel investor/advisor, board member, and strategist. His focus is on business agility: experiments, measurement, and evidence-based decisionmaking. He also conducts chocolate tastings and has traveled to 93 countries. Strategy and portfolio work can take anywhere from a few weeks to several months. My goal is always to deliver measurable results in short sprints and keep adjusting the goal as we go.